It’s not often I can persuade myself to go on an early morning run in the winter. I know I will always feel better for doing it. But when the alarm goes off and the sky is still inky, the snooze button is too easy to hit. Today I made it though! Throwing myself out of my warm bed, driven by guilt at hardly running at all this week. I had decided last night that I would run to work. Back pack was ready and excuses were left at the door. It really was a brilliant start to the day. I know that I need to give my muscles a chance on a morning run. It’s a bit of a shock for them to go straight from bed to full speed. So I started off steady. I also find that it is easy for your whole body to tense up when you are cold. Sometimes you find that you are struggling to catch your breath and getting sore arms and shoulders. If this happens I always drop my arms and give them a good shake as I jog along. The more tense your upper body is the harder it is to breathe. Once I relax and get going it is all about enjoying the views and remembering how great it is not to be stuck in a traffic jam! Fancy giving your day a great kick start? Why not give a ten minute morning run a go? Just getting out for ten minutes can make you feel more alert when you hit the desk. In fitness, every step counts and who knows what you will get to see while you’re out there! I was going to take a picture of a beautiful sunrise as I ran. 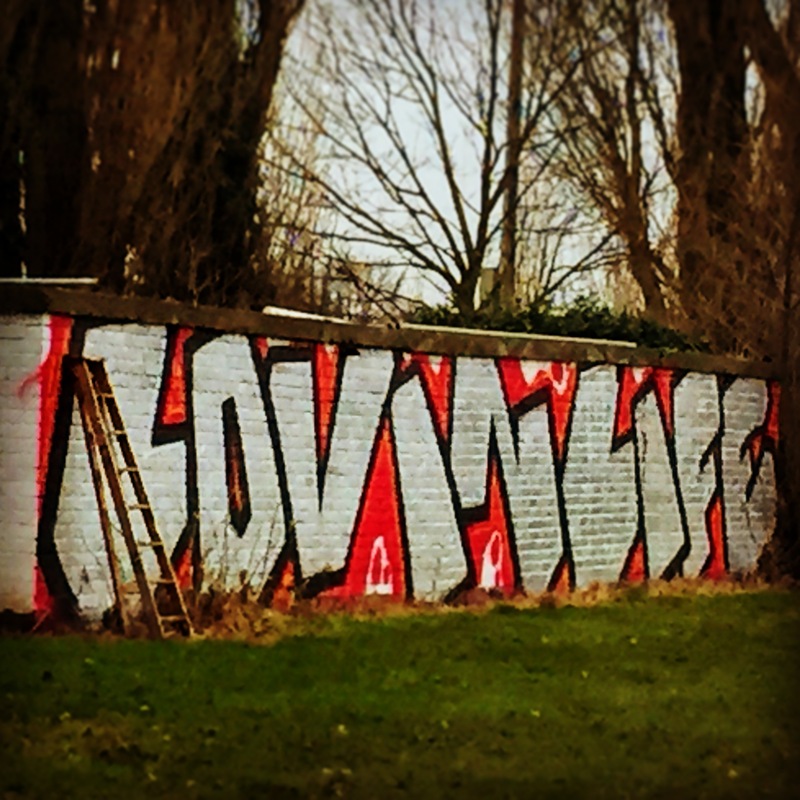 But this graffiti summed it up perfectly – Lovin’ life! Previous Post Getting Cycle Fit And Cuba Ready! Well done on getting out there! I get up at about 4.30am most mornings to train (I lift weights) but I workout at home so I guess it’s easier because I’m in the warm. Still hard to leave the bed though some days!